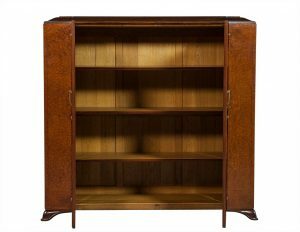 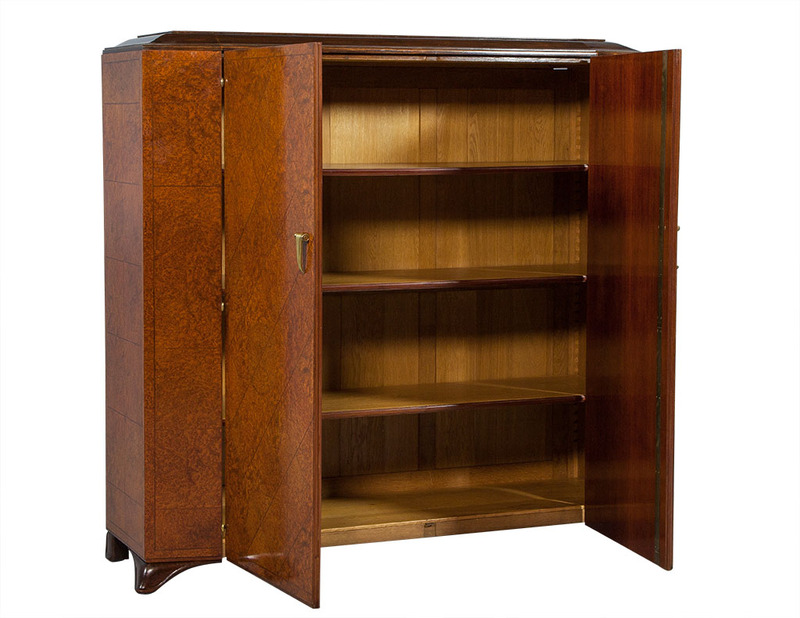 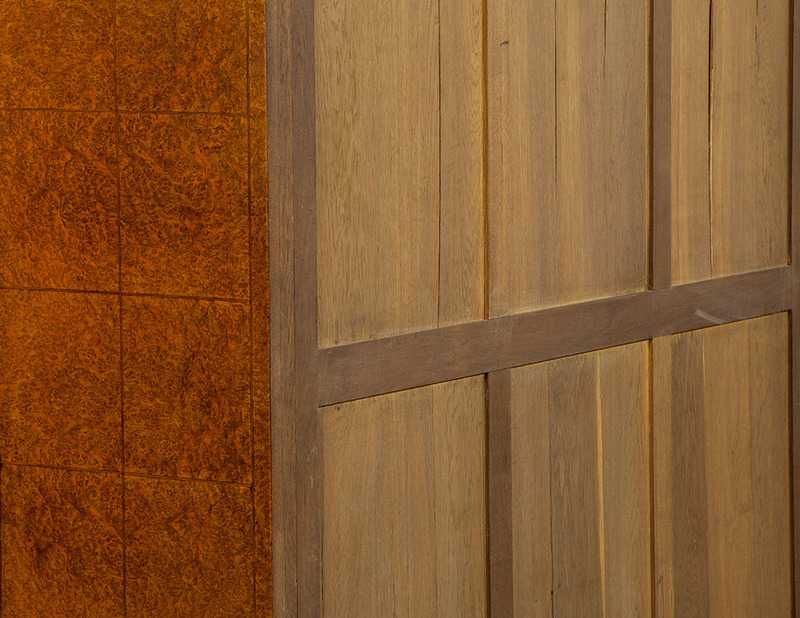 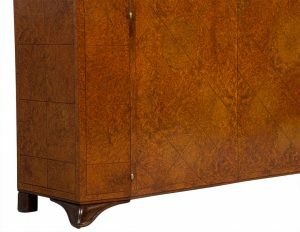 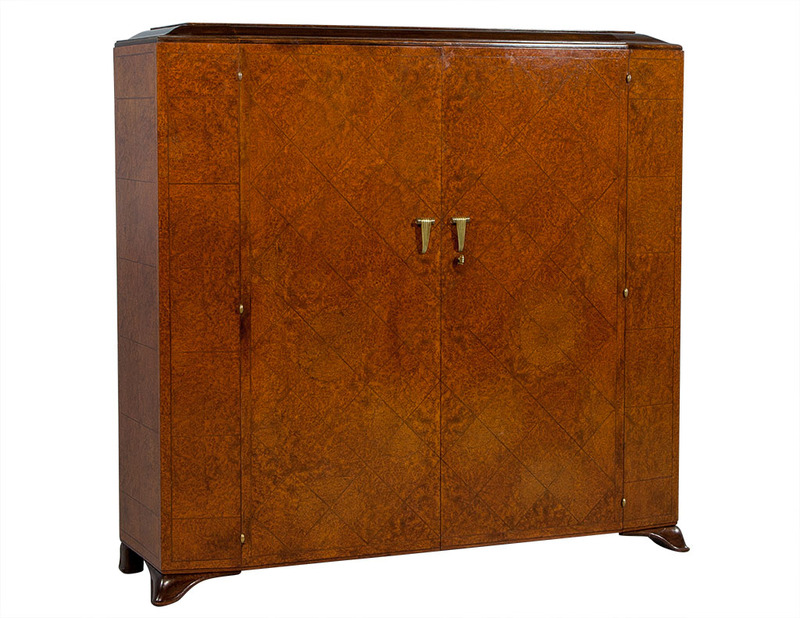 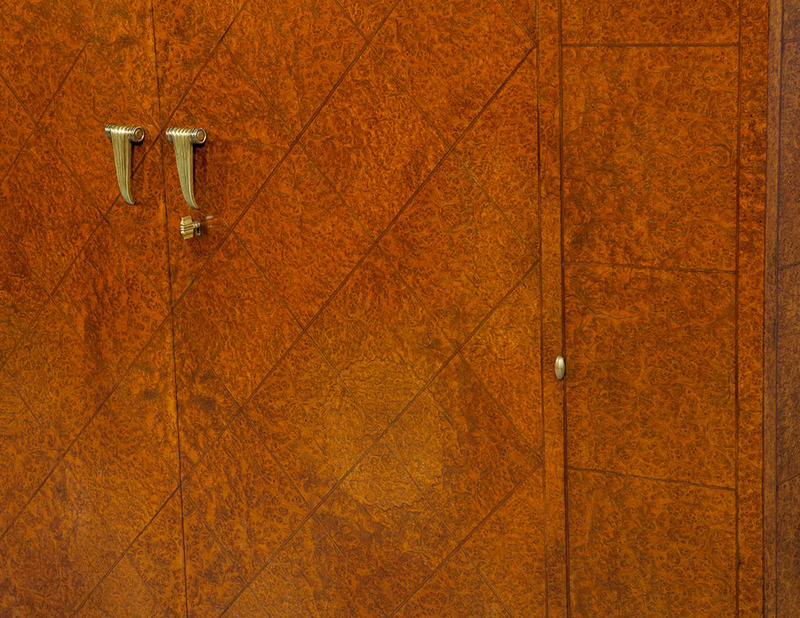 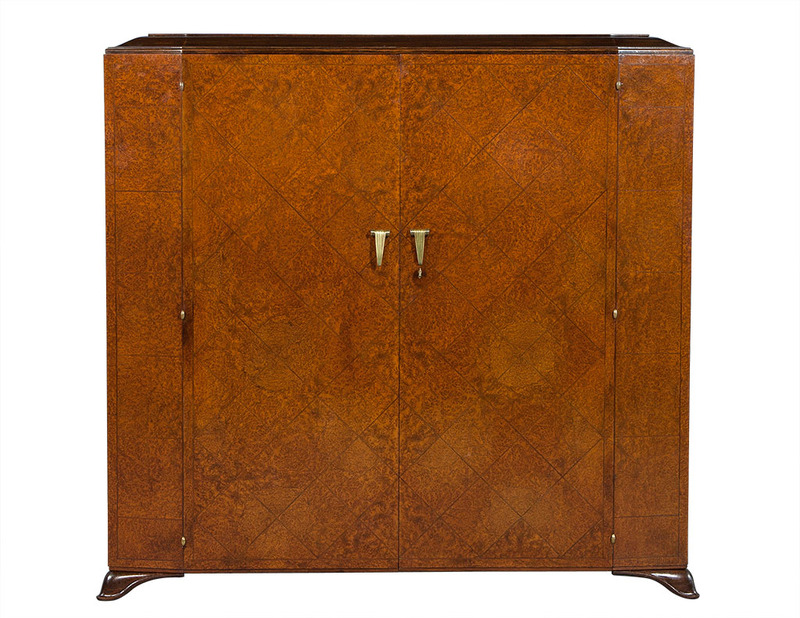 This French Art Deco style armoire is truly elegant. 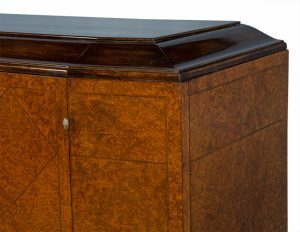 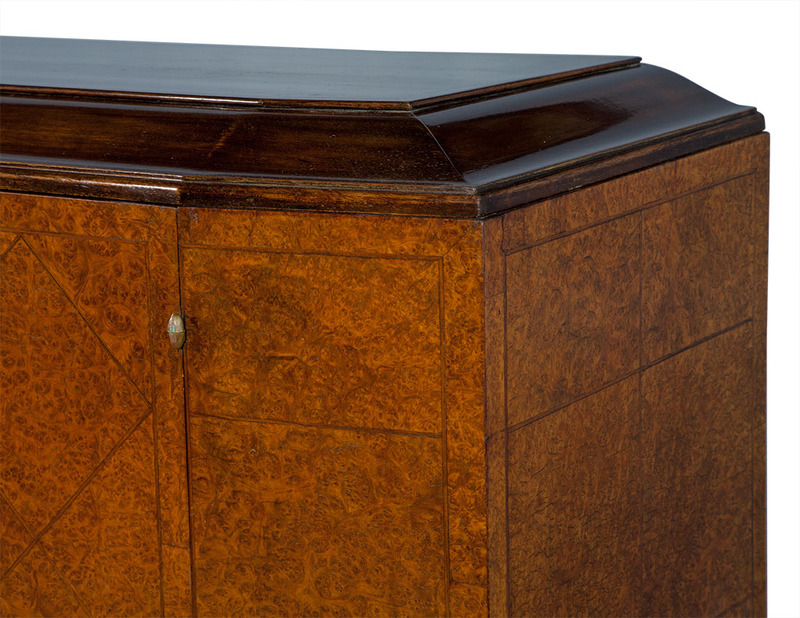 It is crafted out of burled walnut, houses three interior shelves for storage, and sits atop four curved feet. 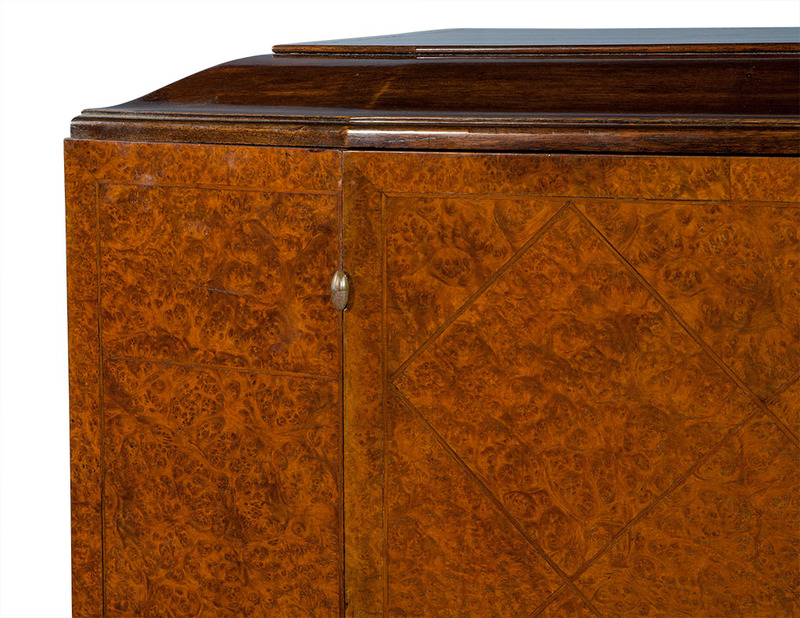 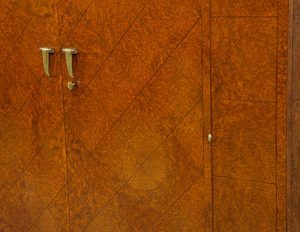 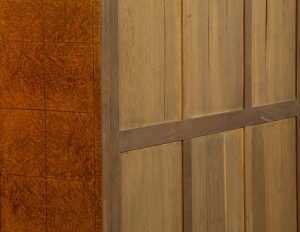 It has a sloped top and a decorative diamond-shaped parquetry façade with aged brass pulls and a lock and key on the right door. 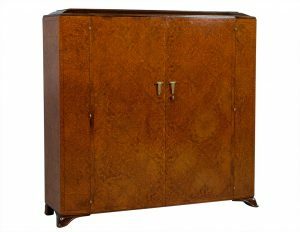 This piece is a beautiful addition to a richly decorated bedroom.